Firstly, a massive thank you to everyone who listened to the first season of @CoffeewithDani - IOU, honestly. So happy to be back with a new season, new guests and be over in NYC. So excited to be chatting with Jackie and learning all things Melariche Beauty (@MelaricheBeauty), her personal journey and social enterprise! 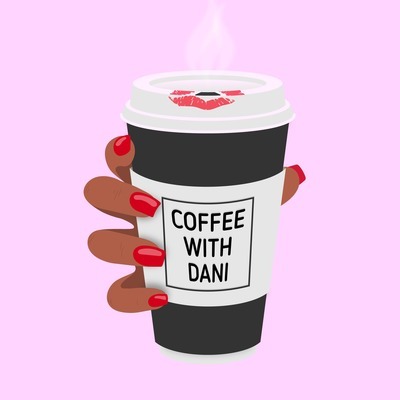 Hit me (@missionworldie) up on social and the show is under @coffeewithdani_ on twitter, and @coffeewithdani on the 'gram. It goes down in the DM and email so coffeewithdani@gmail.com is also where you can find me. Kisses to Keal for the soundtrack and Adam Totney for our artwork! This week I sit down with PR Grad, Blogger (@itsLaurenAlexa) turned Influencer Agent - The Grid Group (@thegridgroup)! Finally pin down Jamelia, CEO and Founder of Treasure Tress (@treasuretress) - such an inspirational story! I also catch up with Chloe and Lauren, of course we discuss men... and Brexit. A special thank you to KEAL for our B O M B theme tune, you can find him here @keal_music And Adam Totney for our Artwork! I sat down with Jenna Harris(@metixapp),Co-Founder & CEO Metix App! Listen to Jenna's interview to learn more about Metix and her journey through app development and business startup. I also catch up with Chloe and Lauren, all things Love Island and Brexit. A special thank you to KEAL for our B O M B theme tune, you can find him here @keal_music And Adam Totney for our Artwork! This week I sit down with Scola Dondo - can you believe Scola is a: YouTuber, Personal Trainer, BBC Presenter and Social Media Manager, all at the age of 20! I also catch up with Chloe, talking dating, University and life! A special thank you to KEAL for our B O M B theme tune, you can find him here @keal_music And Adam Totney for our Artwork! I sat down with Natasha Scarlet Danson (@natashascarlet), CEO of RED Agency London (@REDAgencyLDN_); your answer to a catch all digital agency. I also catch up with Chloe, and talk dating! A special thank you to KEAL for our B O M B theme tune, you can find him here @keal_music And Adam Totney for our Artwork! For the first episode of Coffee With Dani I sat down the 23 year old CEO and Founder, Zaineb. The brain's behind the growing Blogger Community BloggingGals! A special thank you to KEAL for our B O M B theme tune, you can find him here https://soundcloud.com/keal_music And Adam Totney for our Artwork! Wondering what Coffee with Dani is all about? Well, this is for you!